Founded in 2003 Dream Installations is a supplier and installer of PVCu and Aluminium Windows, Doors, Conservatories & associated products. All personal information you supply, either online or by any other means, is held in secure conditions. All reasonable steps will be taken to ensure that third parties do not have unauthorised access to any stored information. Any personal information we hold on our database will be permanently removed should the individual so request. We will disclose information held if required to do so by law. The legal basis for collection of data via our website is “Legitimate Interest” as per Recital 47 of Article 6(f) of the General Data Protection Regulations (GDPR) as it is reasonable for you to expect that you will be contacted about your enquiry having entered your contact details into an enquiry form. We will use personal information for the purpose administering and expanding our business activities, providing customer service and making available our products and services to our customers and prospective customers. We will retain your personal data for up to 20 years from the date of submission or alternatively our last communication with you. We require access to your details to refer to any future service, warranty or remedial work which you may require. Without such, we will be unable to refer to previous installations or remedial work. Please note that we install everything that is Manufactured on a bespoke basis and if we do not detain your details we will be unable to access your contract details and therefore your warranty will be void. Information is stored on a secure database and accessed by authorised and trained personnel only. 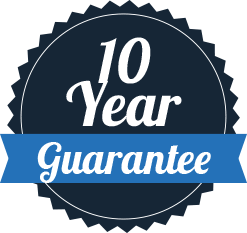 As part of certain warranties, guarantees and special offers, we are required to provide third parties with your information in order to validate the information should you be required to refer to it in the future. We would draw your attention to any links on our website. We take all reasonable steps to ensure that any website that can be accessed via our website maintains the same standards of privacy exercised by Dream Installations, however, once you leave our website it is your responsibility to read the privacy statements of each website. This privacy statement applies solely to information collected by this website. If you wish to be removed from our database, please contact us on 01502 585620 and you will be provided with an up to date email address to submit your request in writing. We will contact you to confirm receipt. The right to erasure – sometimes known as “the right to be forgotten” this means if you request us to do so, we will delete the Personal Data we hold about you. We are committed to protecting your privacy in all our dealings with you. The personal details and information which you submit to us are held on a database for our own use. Any information we hold about you will be used to assist us in providing our services to you and in the compilation of anonymous statistical information. By submitting your personal details you are consenting to it being processed, used and stored on a database by Dream Installations Ltd. Once the Trade/Retail order/installation is completed, all paper copies of contracts and agreements will be filed and stored in our secure premises. All Invoices, Service work & appointments are stored on our Computer System. All only accessed by Authorised personnel.